“Having Trouble With Multiple Instances” is one of those famous Tomcat users list topics that never goes away. In fact, the question has been asked so many times that at this point, the people asking it are lucky if they get a response that’s more helpful than RTFM. These errors are almost always caused by port conflicts. When running multiple instances of Tomcat on a single machine, each instance must be configured with a unique set of port numbers. This might seem like a no-brainer, but it’s actually very easy to get wrong. Every port number must be unique on the system, and has to be changed manually in multiple locations within Tomcat’s XML configuration files, which leaves plenty of room for accidental errors. There had to be a better way. With the release of Tcat Server 6 R3, there is! 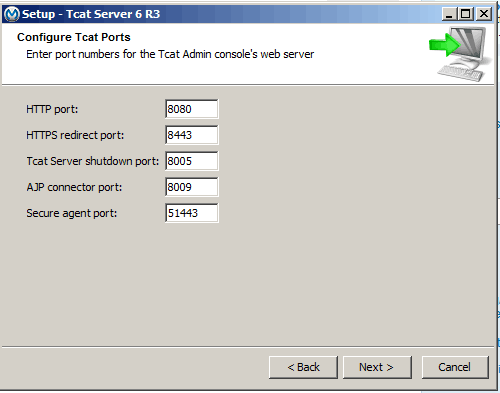 Tcat Server 6 R3 includes an easy way to get multiple instances of Tomcat up and running on your machine with zero errors. The Tcat Server installer has always helped you get Tomcat up and running faster on your system. Starting with R3, it can also help you install multiple instances. All you have to do is run the installer again. Need four instances? Run the installer four times. To avoid confusion, Tcat Server’s installer will notify you if you pick a port number that is already in use, so you can choose a new number right away. When you’re done, you’ll have pre-configured Tomcat instances, error free and ready to go! To learn about the other new time-saving features in Tcat Server 6 R3, click here to read the release announcement! And download the latest Tcat Server here.